Whitney Allen is one of only three known people living in Los Angeles who was actually BORN here. Whitney knew she wanted to be in radio when she was 5 years old, that dream was almost sidetracked by a longing to pursue veterinary medicine but she discovered that the whole "math, biology thing was not in my genetic make-up--but talking was".On a trip to Eureka, California she heard a woman on the radio who “sounded like she wanted to steal my boyfriend, it was uncomfortable for me to listen to. I knew I wanted to be on the radio, but knew I did not want to sound at all like that!" Whitney ended up getting that very air shift at KATA and stayed in Eureka for 2 years, “'til the rain got to me”. 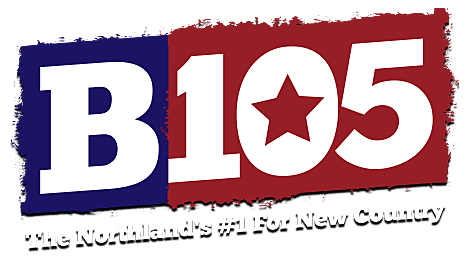 Then it was off to San Diego California where she worked at Top 40 KS-103, Country’s Q105 and held down the nights at the station that went from worst to first in less than three months, KKLQ, Q-106. “Right after I bought a house in San Diego I got a call from the legendary Scott Shannon who was starting up Pirate Radio in Los Angeles”. He wanted Whitney to anchor the midday show. San Diego was a hard place to leave, but “Los Angeles was my hometown and I always wanted to make it there”. She did. After Pirate Radio she was immediately hired to work at KIIS-FM in Los Angeles where she worked for over 3 years. “Just to be working at the same station as Rick Dees was amazing. Many mornings I actually got to work with him too…that’s a long way from Eureka!” Another big name called Whitney up when she was working at KIIS. "Blair Garner and I worked together at KIIS, I did mid-days while Blair did afternoons. When he left to start After MidNite he wanted me to be a part of it, but I couldn't leave KIIS right then. As soon as the gig ended Blair asked me to hold on for a couple of months and he would create a place for me." Whitney hosted the Nationally syndicated program "After MidNite Weekends with Whitney Allen", which ran overnights on over 200 stations nationwide for 8 years. She was also Blair Garners exclusive fill in host for After MidNite. Whitney is thrilled to headline her very own show. "but I couldn't do this without a great team behind me, The Big Time Saturday Night is a dream come true". When not working she loves hiking, talking, napping, Mexico, Survivor and hanging out with her dogs Mattie and Flue, and her too many cats. Oh, and she promises she’ll never sound like a girl who wants to steal your boyfriend. She already has one of those. She hangs out with him a lot too.